What is your kegemaran song of Crystal's, whether original atau from American Idol? What ONE "OR" TWO-HYPHENED Words come to your mind when anda think of Crystal Bowersox? Do anda think Crystal & Brian Walker make a handsome couple? Do anda think Crystal will ever get rid of her dreadlocks? Would Crystal be a perfect opener for Janis Jopelin supposed it was possible? 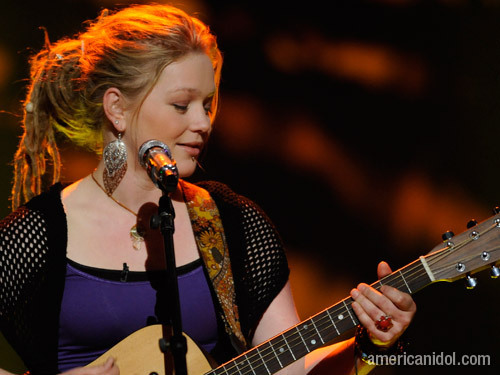 In the eyes of many 'American Idol' fans, last season's runner-up Crystal Bowersox was a lebih interesting contestant than eventual winner Lee DeWyze (she at least has a lebih captivating name). MySpace is a Social Entertainment Place for ALL people who want to connect with others. IN MY OPINION it Ranks WELL ABOVE Facebook! Here anda will find Crystal's Music, Playlists, Videos, Charts, New Releases, Muzik News, Events, & MORE! Come Join! a comment was made to the poll: Do anda have a copy yet of Crystal's New & 1st CD? a comment was made to the poll: Favourite bahagian, atas 2 performance from Crystal? What was the popular Name (or a.k.a. name) that peminat-peminat called Crystal? Crystal/Lee ♥ Please Read for Cool Stuff! OMG CRYSTAL IS SO GONNA WIN!!!!!! !